There are some big obstacles to cloud storage adoption at the moment, but these are likely to diminish over time. Will that spell the end for low- and mid-range array suppliers? While the top end of the storage array market may be dominated by a few big players, at the lower end we see many companies offering low-cost external storage arrays at competitive prices. But where is the real competition for these companies? Is it with each other, with the big six or perhaps with cloud storage? Last month I attended the first SolidFire Analysts’ Day, which focused on bringing SolidFire’s technology to a wider audience and to launch version 6 of its Element OS, codenamed Carbon. With CEO Dave Wright, we discussed competition in the marketplace and specifically among array makers with SME storage products. Wright’s view was that competition for these suppliers would come primarily from cloud storage rather than array suppliers of low-end to mid-range storage. As he put it, why would anyone that required a small to medium IT infrastructure bother to deploy it themselves? Why get involved in the expense of building datacentres, hardware and software maintenance, and operational management? In one respect, he is right. Building your own infrastructure from scratch is no longer necessary. Amazon Web Services (AWS), Rackspace, Microsoft Azure, HP Cloud and a host of other service providers now have mature, advanced systems to host infrastructure (virtual servers), storage (block stores, object stores) and applications (such as databases). AWS recently released Cloud WorkSpaces desktop-as-a-service in some regions. And there are many service offerings that use cloud providers, such as Nasuni or (Microsoft’s) StorSimple, as a local gateway for cloud storage. With all this choice, is it really necessary to maintain local storage resources? Ultimately, the decision comes down to risk management versus operational and capital cost. There is still investment to be made in desktops or laptops (even with BYOD) and many organisations would prefer to retain physical ownership of sensitive data, such as personnel and finance records. From an operational standpoint, depending on a cloud provider means having a highly resilient network connection, probably through multiple suppliers with guaranteed service levels. That means a shift in budget allocations. Then, moving the majority of data to the cloud also means a shift in skills, with more focus on issues such as security, application design and resilience, as well as platform-as-a-service offerings. 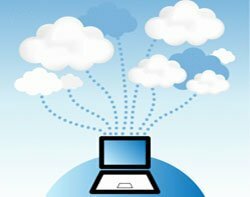 So, will we see an overnight shift from in-house IT resources to wholesale use of the cloud? No, but there will be a gradual transition as organisations become comfortable with the cloud, as they re-skill, and as assets depreciate and come up for renewal. As a result, the storage industry will be slimmed down significantly in five years' time and will be a shadow of its former self a decade into the future. Small array suppliers will struggle to create new features and functionality to keep customers using their hardware rather than putting their data into the cloud. What do you think? Are you already using cloud storage or thinking about how it could help you reduce operational costs? I would be interested in any feedback (good or bad) on how widespread the use of cloud storage is today.